Hair loss or thinning at any stage of life can be a very trying experience. 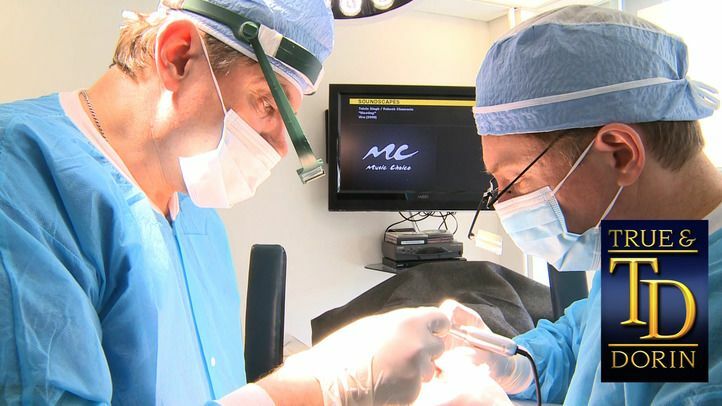 Patients looking to avoid surgery, or who are not candidates for hair transplant procedures, can turn to scalp micropigmentation as a great non-surgical alternative. Micropigmentation can achieve aesthetically pleasing results as a standalone procedure, or can also be used in conjunction with surgical treatments to help recreate the appearance of a healthy hairline. Our hair restoration experts Drs. Robert True and Robert Dorin can discuss scalp micropigmentation at one of our New York area locations and help determine your candidacy. To learn more about your treatment options, schedule a consultation us today. Scalp micropigmentation is a cosmetic medical tattoo that consists of small amounts of pigment that are applied to the second layer of skin. 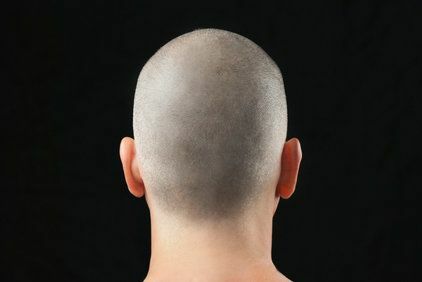 With their artistic eye and skilled hand, trained doctors are able to construct the appearance of a closely shaved head. By strategically placing the colors, scalp pigmentation can enhance the patient’s density on the front, side, and rear hairlines. Your micropigmentation specialist will also use different pigments to better mimic your natural hair color, which is usually a blend of several shades, rather than one uniform color. With this highly personalized treatment, a scalp micropigmentation can achieve your unique goals with a highly natural look. Scalp microgimentation is also a convenient procedure, usually completed in just two to three sessions, depending on the size of the treatment area. Scalp micropigmentation is suitable for all hair and skin types and colors, making most people eligible for the procedure. Many of our patients have decided on scalp micropigmentation as a permanent way to recreate the appearance of a full head of hair, whether as procedure by itself or combined with surgical hair transplant options. Patients also opt for scalp micropigmentation as a way to cover up blemishes, scars, burns, and alopecia on the their head and scalp. Scalp micropigmentation can be touched up and revised over the years to change the shape or position of the hairline as thinning progresses, making it adaptable to your needs. Patients should keep in mind that scalp micropigmentation is a permanent treatment option though. Like all forms of tattooing, outcomes are intended to last a lifetime. For patients who wish to reverse their scalp micorpigmentation results, removal of the pigment is possible with laser treatment, but like conventional tattoo removal, results can be inconsistent and often involve permanent hypopigmentation. Your doctor can further discuss the benefits and drawbacks of scalp pigmentation to help you decide whether the procedure is right for you. At True & Dorin, our hair restoration doctors have helped countless patients look and feel their very best. If you are a good candidate for scalp micropigmentation, we are happy to refer you to a highly trained and reputable specialist. Make an appointment with one of our doctors today to learn more about your hair restoration treatment options.